Many good maintenance practices are done routinely to ensure safe travel on low-volume local roads. In addition, there are many specific treatments that may go beyond the point of routine maintenance and in fact provide additional safety benefits with a relatively low price tag. The purpose of this publication is to try to assemble many of these treatments that are currently practiced in Iowa by local agencies into one, easy-to-reference handbook that not only provides some clarity to each treatment with photos and narrative, but also features references to agencies currently using that technique. Some strategies that are utilized by Iowa, other states, and are topics of research have also been included to allow the user more information about possible options. 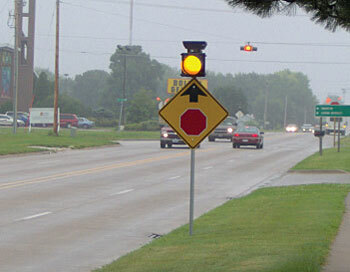 Even though some areas overlap, the strategies presented have been grouped together in the following areas: Signing and Delineation, Traffic “Calming,” Pavement Marking and RumbleStrips/Stripes, Roadside and Clear Zone, Guardrail and Barriers, Lighting, Pavements and Shoulders, Intersections, Railroad Crossings, Bridges and Culverts, and Miscellaneous. Our intention is to make this a “living” document, which will continue to be updated and expanded periodically as other existing practices are recognized or new practices come into being.